Lemons Archives - CH Edwards, Inc.
Water with lemon is a terribly underrated beverage. There are so many health benefits to this simple beverage that are so often overlooked or misunderstood. Let’s take a look at the benefits of lemon water and show you why a beautiful bowl of lemons on your counter can be just what you need this Winter. 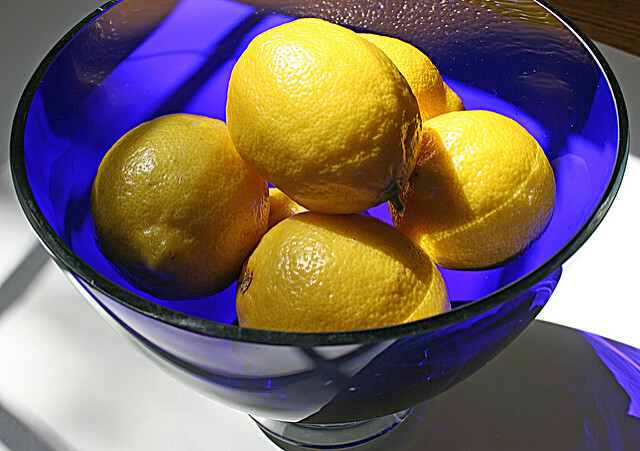 Drinking warm water with lemon on an empty stomach can help you manage your weight. A study by the Journal of Biochemistry and Nutrition found that lemon polyphenols (found in the peel and the juice) suppressed weight gain and fat increase from a high-fat diet. This doesn’t directly help you lose weight but this helps you not to gain weight. When paired with a healthy diet and an exercise routine, drinking lemon water may help support your weight loss goals. Why not try and replace a cup of coffee with some warm lemon water this morning? Lemons can help with some of the symptoms of the common cold. There is no cure for the common cold but lemon has natural properties that you can benefit from when you drink water infused with it. Lemon helps to break up congestion and can help rid you of mucus faster. Lemon can also soothe a sore throat when paired with honey. It also gives you a healthy dose of Vitamin C known to help reduce the effects and length of the common cold. Give this a try to help in your fight to get ahead of this cold season. Adding lemon to your water will help to boost your water intake. So many of us don’t like to drink water even though we know how important it is. We need water to survive and we need a lot of it! On average 60% of the body is made of water so even if you don’t like the taste, you still need to drink it. Lemon can be just the boost you need. It is very low in calories and high in a lot of other good things. The lemon may mask the flavor you find intolerable. Lemon on its own packs quite the health benefit. Vitamin C in combination with the citrus bioflavonoids in the lemon cause your blood to circulate more freely, leading to increased energy. The acid in lemon juice aids the digestive system in breaking down food faster so that your body can use it for energy. There is so much more to lemon water than the crisp and refreshing taste. Lemon can benefit your health in so many ways. It is safe and can’t hurt to try unless you suffer from a citrus fruit allergy. So if you can, what do you have to lose? Give it a try! The information in Wellness Wednesday is designed to be informative and not replace the recommendations of a physician. For more information on Home, Auto, Business, Life, and Flood Insurance, visit our website at www.chedwards.net.